"Protecting Content During Business Disruption: Are You Covered?" 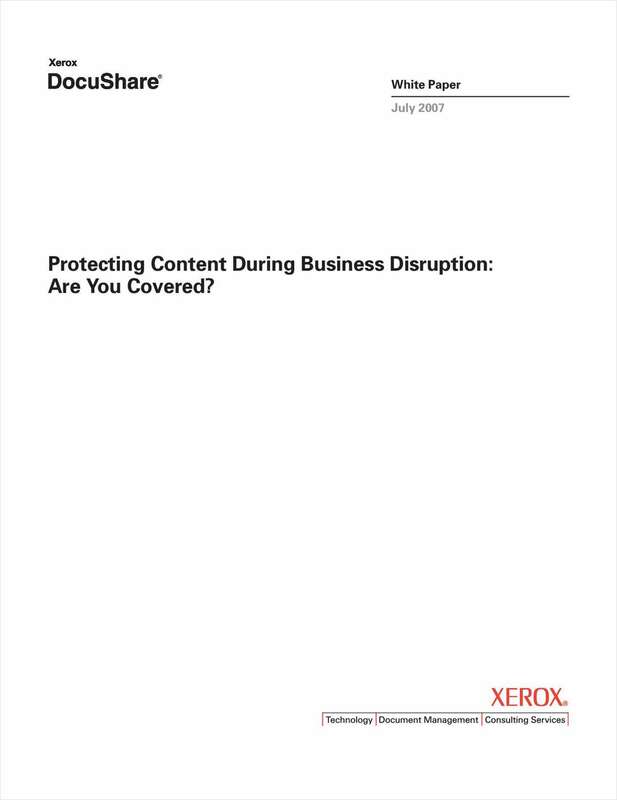 Free White Paper: "Protecting Content During Business Disruption: Are You Covered?" Learn how to protect your business from an unexpected disaster by implementing an Enterprise Content Management (ECM) solution. Significantly improve productivity, streamline business processes, and reduce the time and cost of managing routine business documents and information. By submitting this content request, I have legitimate interest in the content and agree that Xerox Corporation, their partners, and the creators of any other content I have selected may contact me regarding news, products, and services that may be of interest to me.